M Rugged Mobile Technology offers Panasonic Toughbook Vehicle Mounting Bracket Solutions. Our products can be efficiently installed into any type of vehicle – Fire trucks, Police cars, Ambulances, military vehicles, even forklifts using Your vehicle mechanic, local installer or our installation team. This service provides your organization with the support needed to make your mobile data deployment successful. Once your organization has selected the Panasonic Toughbook laptop computer models to be deployed, proper vehicle mounting issues need to be considered. 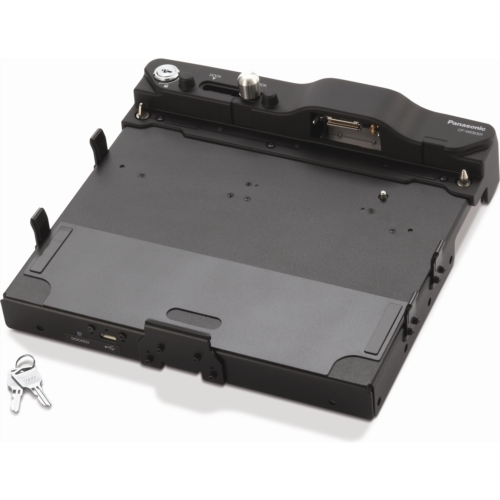 Typically, the components required to mount a Toughbook laptop in a vehicle include a vehicle dock, dock plate, tilt/swival, swing arm,base plate, pole, c, and vehicle power interface. Additionally, the installation may also require the use of accessories like roof mounting antennas to enhance the wireless wWAN/wlan/gps port replicator pass-through, GPS , radios or satellite radio systems, and mobile video recording systems. The complete solution is designed to enhance the productivity of your organization’s users in the field. M Rugged Mobile Technology will provide a complete estimate of products and services that outlines the entire installation process. Your organization will also be provided with warranty information on all equipment used in the vehicle installation process.